We can’t thank everyone enough for participating in our book club in January. 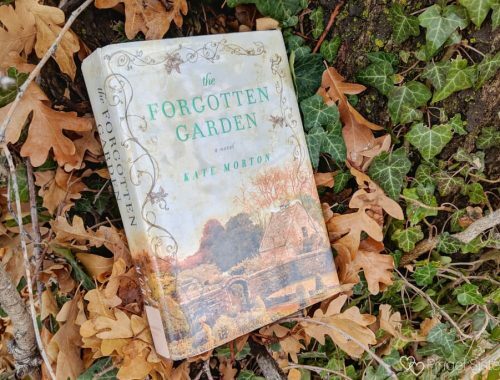 We are blown away by everyone’s comments on The Forgotten Garden. It was so much fun seeing all the different insights are readers had. If you haven’t had a chance, comments are still open on the January book club pick! If you’re just joining us, welcome! Rachael and I are so excited to have you with us. If you are looking for a community of readers, you’ve found the right place. This month, we are excited to keep the conversation going. Since our theme this year is Read With Intention, we decided to choose a book that would give us plenty to talk about. Remember, running a book club is new for us. So if you have any suggestions for improvement, please let us know! 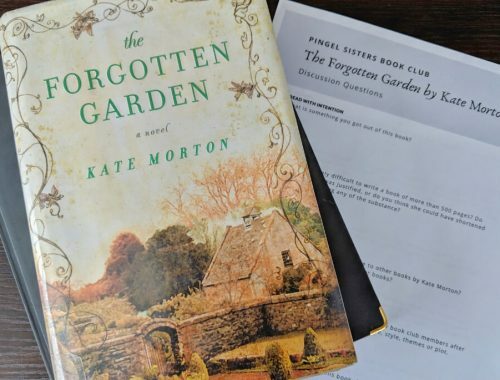 And now on to our February book club pick and all the details you need to know for this month. Apparently, we didn’t fully think out the reading challenge topics to match the book club. For example, we didn’t consider that a book recommended by our friend doesn’t really qualify for you. Unless you want to consider us your friends! Then we are good to go! 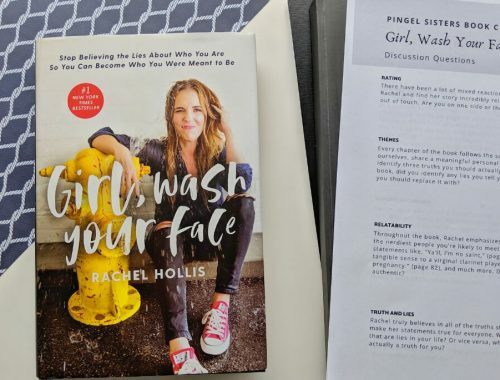 Girl, Wash Your Face was one of the most talked about books of 2018. 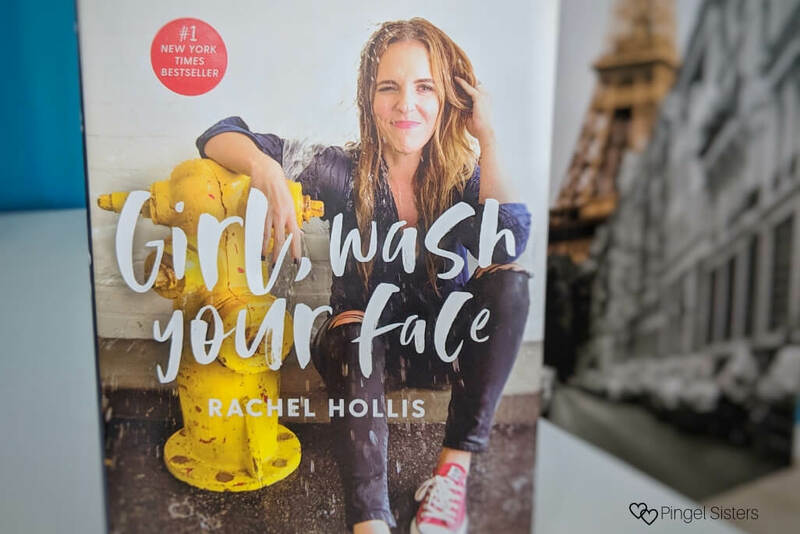 People seem to either love or hate Rachel Hollis’ brand of motivation. Rachael, being my best friend as well as my sister, recommended this book to me. Not because she necessarily though I’d love it as much as she did, but because she wanted to see my perspective. 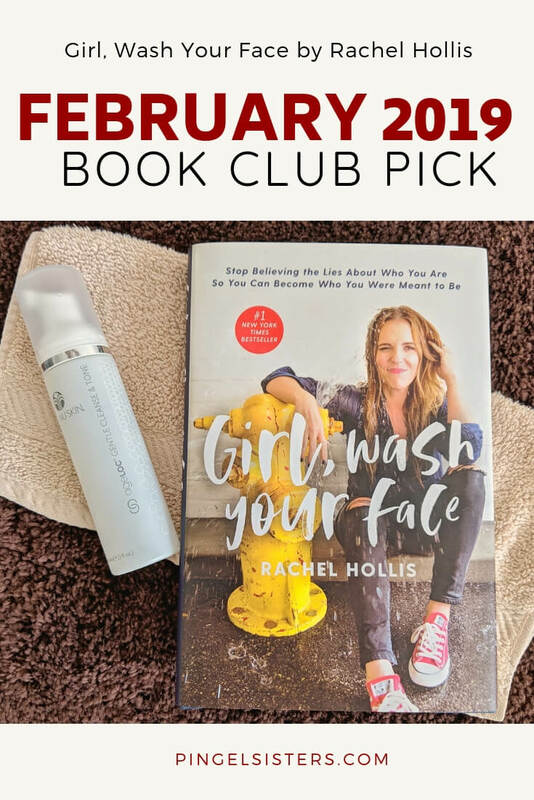 We chose our Girl, Wash Your Face for our February book club pick for its controversy. Our goal this year is to read with intention. We want to take a book and weight its value. Why do some people love it and why do some people hate it? How much does personality play into self-help books? Where do you draw a line when recommending a book to a friend? Hope you join with us this month for our February book club pick. We fully expect a lively discussion. Remember rule #1 of the Pingel Sisters Book Club – you are not required to like the book we pick. Differing opinions are always welcome! February 7th – We will post our February book club discussion questions so you have a chance to reflect on them before our discussion begins. February 19th – Let the discussion begin! For the last week of February, our discussion questions will be open for comment. 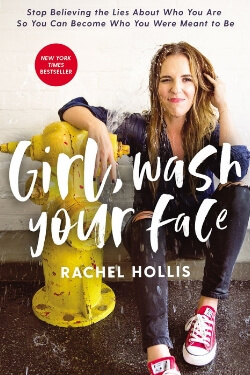 We will update the post with our thoughts, and would love to hear what you have to say about Girl, Wash Your Face. 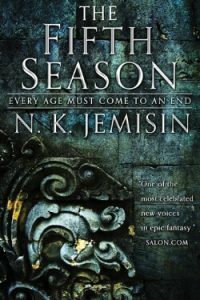 To give you some time to get your hands on a copy, next month Rachael will be discussing a book from a genre she doesn’t usually read: fantasy. How do you feel about our February book club pick? I read this last year so I’ll be looking forward to the discussion! Also, thanks for sharing the March pick ahead of time. I’m a huge fan of fantasy but normally only get recommendations from my husband so maybe I can convince him to read this with me! Great pick! I have this waiting in my queue on Audible. I plan on starting it as soon as I finish Nine Perfect Strangers. Can’t wait to discuss! Did the discussion ever get opened up?